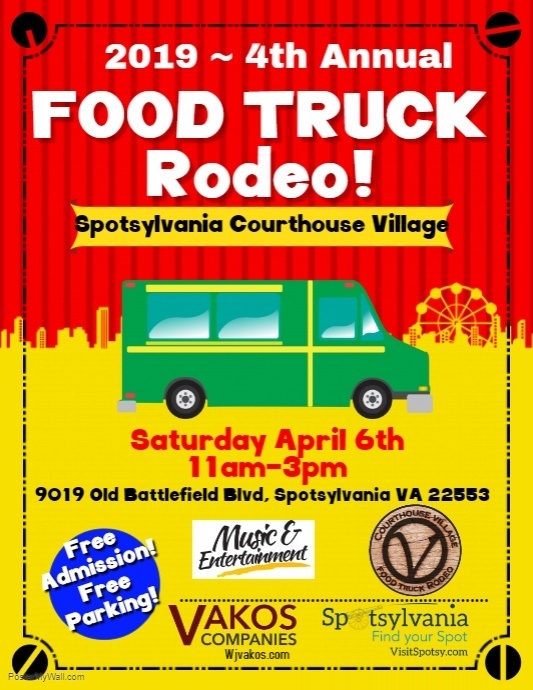 30 Vendors including food trucks & non-food vendors at Spotsylvania Courthouse Village. 4th Annual Food Truck Rodeo! Free Parking/Free Admission! Family Fun! Live Entertainment, Dog friendly!